Fixed Rate Pricing. Custom Packages. A Better Oakland Moving Experience. Upline Moving provides hassle-free moving services, guaranteed pricing, and award-winning customer service. Nestled on the east side of San Francisco Bay, Oakland is home to charming Victorian homes and beautiful examples of Art Deco architecture. The city even landed on National Geographic’s Best Trips List for 2019. If you’re planning a move within or from this East Bay city, choose the help of the family-owned moving company that has served Oakland for more than a decade. We don’t blame you for wanting to stay in Oakland, but just because you’re staying in town doesn’t mean you should complete the move on your own. Let us take care of the packing, crating, wrapping furniture, and hauling, so can continue to focus on your normal daily tasks. If you just need help with a few tasks, we can help with that, too—simply ask about our custom moving packages. A long distance move is stressful as there may be many unknowns about your new city. Instead of adding to your burden by worrying about the minutiae of your move, let our residential movers handle those details. You’ll know you’re in good hands with us as we carefully select and conduct background checks on every member of our team. We’re here to make sure your move goes smoothly, so let us know what you need—you name it, and we’ll make it happen. Our full service Oakland moving company allows you to be completely hands-off. We’ll take care of every detail including packing, crating, hauling, storage, unpacking, and more. Every one of our residential movers goes the extra mile to deliver next-level service and to help you enjoy a stress-free transition. Life can change on a dime, and if those changes mean you’re faced with the prospect of a last-minute move, Upline Moving can help. We’ve completed thousands of moves for our customers with very little notice and managed to pull off those relocations without a hitch. Last-minutes changes are stressful, but when you choose our residential movers, your last-minute relocation doesn’t have to be! 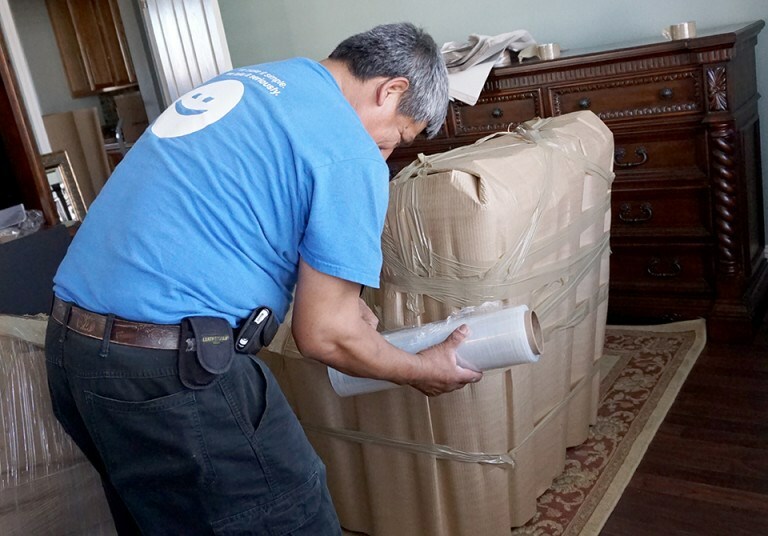 If you’re planning a move, contact our Bay Area movers for more information about our highly rated services, to reserve your moving date, and to schedule a free estimate. We’ll provide you with a fixed price, so there won’t be any surprises on the final invoice. What might be a surprise, however, is the ease of the move and the superior service provided by every member of our team! Call Upline Moving today or fill out our online form now to get started.